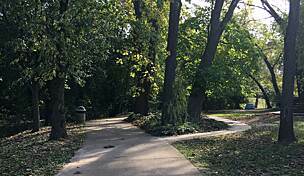 The Bella Vista Lake Trail forms a loop around Bella Vista Lake in the park of the same name, located along Bentonville's northern edge. 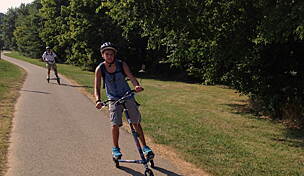 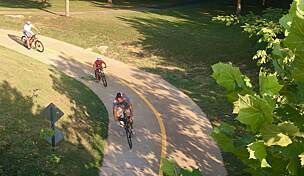 Along with this popular paved fitness trail, the park contains a playground, disc golf course and picnic tables. 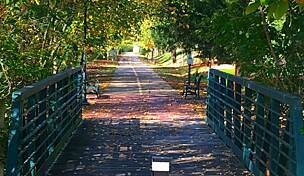 From the trail bridge over the creek that feeds the lake, the Wishing Springs Trail heads south, passing under Interstate 49 and linking to other trails in Bentonville's extensive network. 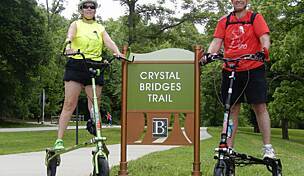 The two trails are also the northernmost components of the Razorback Regional Greenway, a 36-mile, primarily off-road, shared-use trail that extends from Bella Vista Lake in north Bentonville to the southern edge of Fayetteville. 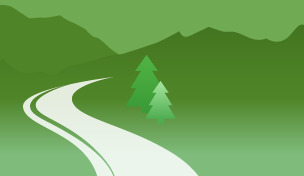 Parking for the Bella Vista Lake Trail is available in two parking lots within Bella Vista Lake Park. 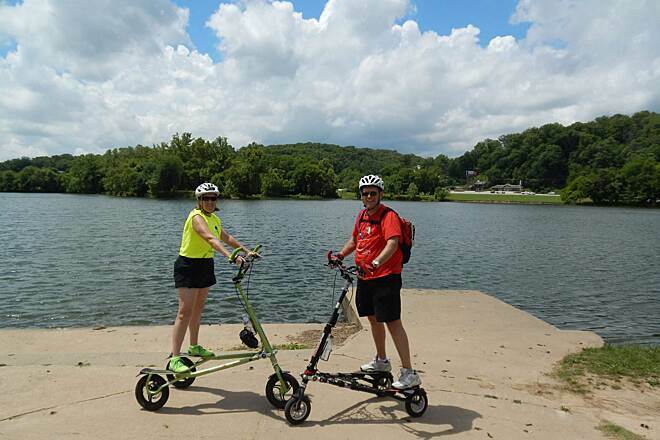 Both are located along the northern edge of the lake, with the main one accessible directly from US 71 (between Bentonville and the Missouri state line).